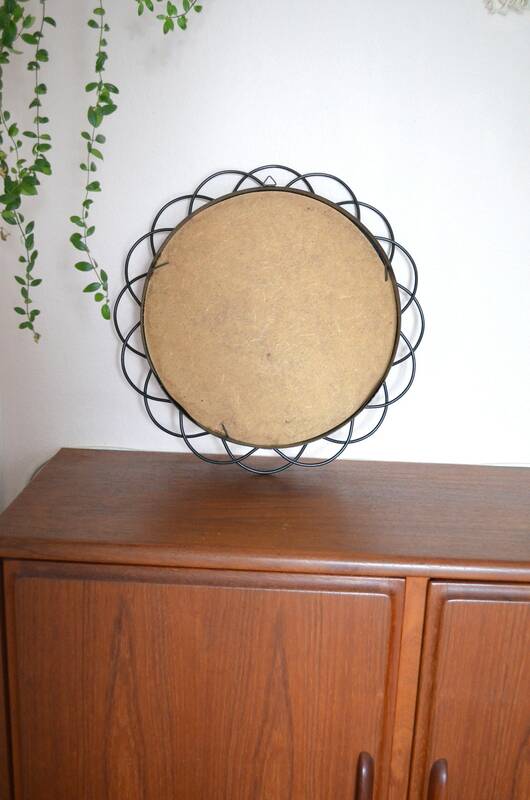 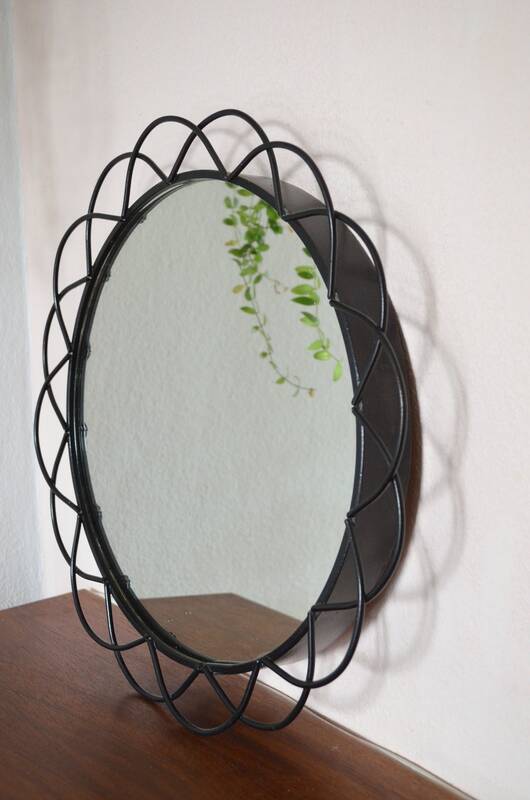 Vintage mirror with iron frame. 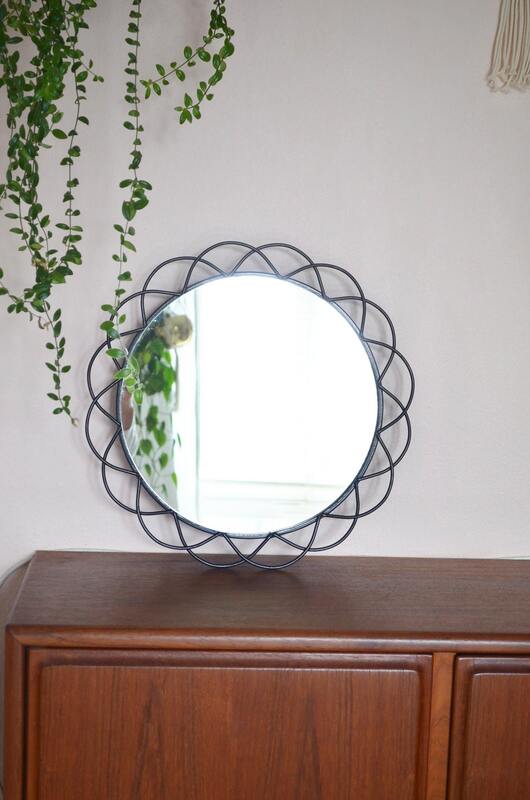 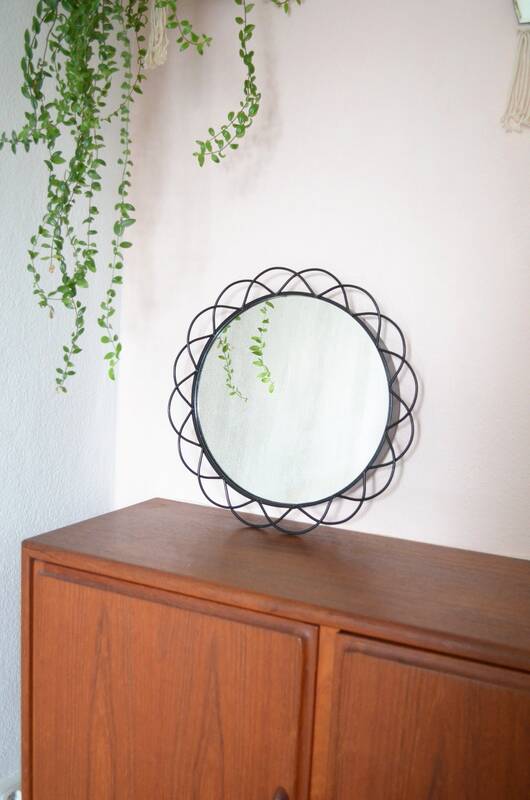 Beautiful Mirror from the 1970S. 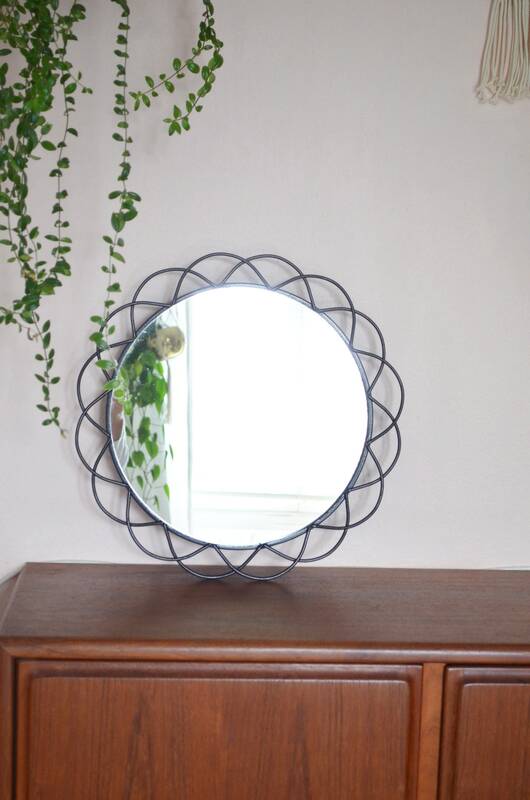 With integrated Suspension in the Frame. 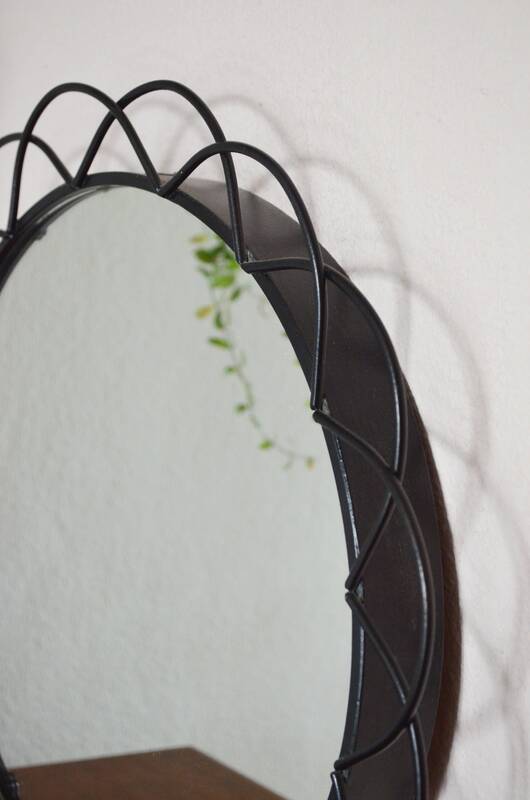 The mirror is in very good condition, but has a few age-appropriate signs of use.